He’s known more for his physical prowess, his spider-sense, and his nonstop joking, but at his core, Spider-Man is one of the biggest nerds the Marvel Universe has. For just over fifty years now, Peter Parker has been leading a double life, creating inventions for the sole purpose of his secret heroism, and trying to find a balance between his every day life…and the one he wants to live. Oh INTP, how dual your life must be. While many people have chosen to type Spider-Man INFP due to Tobey Maguire’s portrayal in the Sam Raimi films, this simply is not the case with every other incarnation of Peter Parker. While I don’t even really care to type Raimi’s Spider-Man, INFP may be the correct assessment. The INFP/INTP similarities in functions would appear in the auxiliary function of Ne and the tertiary of Si. Other than that, Raimi’s Parker is something of an INFP stereotype- solitary, artistic, passive and mopey. If you’ve ever met an INFP, the women, at least, they’re far from passive, but the men are known for being a bit more morose. All of this, along with Parker consistently choosing to do the right thing, INFP isn’t too off. And with no offense meant to the INFP, the real Peter Parker may be a loner and a nerd, but that’s where the similarities stop. Throughout high school, before his transformation, Peter is shown to be a loser. We all know this. It’s central to Peter’s character; he knows what it’s like to be the victim, so he fights endlessly to keep the less able from being abused. His uncle’s death sent him in the right direction after a single bad choice resulted in his uncle being killed but it’s his dedication to those still living that keep him going. That and the fact that putting on the suit allows a kind of freedom that us mere mortals can’t have. Parker’s first function is Introverted Thinking. This is what has his constantly taking apart the way things work and allowing him to remain logical throughout his heroic endeavors. Notice that while Peter is able to fight the common man with a couple flips and a simple punch, his arch villains require a bit more finesse. Venom and Carnage are just couple of his foes that not only match him physically, enemies like Green Goblin and Doctor Octopus are his intellectual superiors in many aspects as well as being a challenge in a fist fight. So how does Spider-Man ever come out on top? By figuring out real weaknesses of course! He does this with his Ti/Ne combination. It’s one thing to use Ti to figure out what may or may not work, but it’s the INTP’s Ne function that pushes his boundaries of what’s possible. Many an awesome suit has been created in Parker’s superhero career because he knows he can’t use the same old tactics over and over to defeat a villain that, bluntly speaking, are better than him. Sometimes it’s as “easy” as creating a new costume to fit his enemies’ powers (which often involves creating an entirely new technology or applying loose theories to make something real scientists have struggled with for years, such as invisibility) while other times, Spider-Man actually just loses. Did you check her- oh, yup. Yup, she’s dead. Some have played with the idea of Spider-Man being an ENTP because of his rational mind and the fact that he never shuts up it seems. It’s sensible enough, but think about being a quiet, geeky loser in school, then suddenly having perfect balance, the strength to lift ten tons, and the ability to stick to walls, among other things. Aside from trying to make money off of your new found abilities (which he did), you’d get confident pretty quick too. Not to mention, in various guides and sources, Spider-Man’s ability to react (due to speed, strength, agility and spider sense) is actually faster than his ability to think. So it’s not until he’s literally dodged a bullet that he realizes what he’s done. This is what not only gives him an edge in combat but it’s what allows him to constantly talk to his opponents as he fights them; agitating them, distracting them, beating them. So while it’s not too much of a reach to say ENTP, his extraversion is really more of a “side-effect” of being thrust into his own abilities. For as many times as Spider-Man has teamed up with the Avengers, Fantastic Four, or whoever, there’s a reason he always goes back to being solo. Aside from being a loner in the first place, Parker can be a bit difficult to deal with. As much as Maguire’s Parker has put Spider-Man on the “nice guy” bench, the real Parker is kind of a jerk. It’s not that he means to be, he just doesn’t always seem to understand who’s in a joking mood and who’s not. inferior Fe can do that to a man. In many cases, it seems like he’s got to know what he’s doing, and maybe he does; but in the end, INTPs understand concepts, ideas, and things- not people. A more extraverted type in Parker’s position might actually balance work and play evenly, while an introverted type is more likely to spend so much time with their own devices that they forget about the people around them. On the other hand, an introverted type might spend a certain amount of time (doesn’t even have to be that much) before they feel like people are dragging them in a thousand different directions and they feel the need to escape- when their presence wasn’t required in the first place. INTPs have a way of acting strangely themselves in social situations because of a misunderstanding of what’s expected of them. “I’m not coming up from this basement for days because I’ll have to do SMALL TALK with people! Everybody LEAVE ME ALONE.” – when they’ve already made a commitment to hang out with a couple friends they haven’t seen in a while. He either won’t shut up, or he’s completely zoned in and nobody can find him. This entry was posted on 08/26/2013 at 2:47 pm and is filed under MBTI Rationals, MBTI Stuff with tags intp, mbti in fiction, Peter Parker, spider man, zombies ruin everything. You can follow any responses to this entry through the RSS 2.0 feed. You can leave a response, or trackback from your own site. This is actually what my friend wrote of me in a conversation. Te aka the love of science is an infp trait,intp types typically prefer scientific theory like calculus and particle physics,where as the infp tend to prefer biological science I.e. chemistry. the cognitive stack of an infp perfectly describes Peter Parker from quick wit to internally feeling. 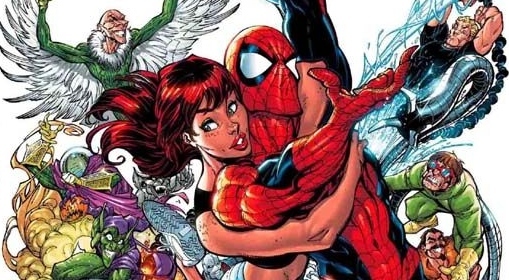 not all infp types are moody like the portrayal by Toby, based on the amazing Spiderman comic book character development, Peter is F dominant.This is a common knee jerk reaction mistake, but INFP is what Peter truly is. I’m an INTP as well, and I was always intrested in only biology, and a bit in chemsitry. I got my degree from wildlife management, and I’m now studying biotechnology. The only INTP I know hates maths and physics too, he studies languages. I’m going to have to disagree with your assertion that he’s INTP. I don’t see Ti at all. Just because he’s good at inventions and figuring out his opponent’s weakness does not mean he’s a logical thinker. He’s also a man with an IQ of 250, above genius intellect. Sometimes, people are just smart. You have to look at what influences him, what drives him. And what drives him is an inner need to help others. He was an impulsive, snappy jerk when he was young (and still kind of is), and often doesn’t understand others, but that doesn’t mean he has a lower Fe at all. As a Fi dom, he would often also have trouble relating to others sometimes. But what makes him an INFP is what he wants to do, not how he acts as Spider-Man. And in all continuities, from when he goes into teaching to spread a love of science, to every time he’s put down the costume and seen others in trouble and picks it back up, to having his company help the downtrodden when he’s president and outright giving himself a lower salary because he knows what it’s like to be poor. What he wants to do is defined by who he is, and what he is, is a man with a severely internal sense of justice and need to help others, to create an ideal world where people are happy, where he is happy, and where those around him are happy. His science is a mean to an end in that matter. And that comes from a Fi-dom. Hey man, thanks for commenting. I think we have majorly different interpretations of this character. I hate that the film versions try to justify why Peter let the mugger go because I’ve always thought the crux of the story was that the single time Peter decided to be the jerk, life kicked him in the teeth for it. What I’m saying is that Peter uses his abilities to help how he can because he constantly thinks of what happens when he didn’t. He wasn’t involved with the good of mankind before and he always comes back to his REAL love- science. It’s not just a means to an end, it’s THE purpose and the reason he’s made not only so many gadgets, but worked for Horizon Labs on cutting edge tech under the premise that he have all the freedom to create. It’s why he fights other people like him, but having taken the easier, darker path. But because of his dual personality as SM, he’ll always end up helping his fellow man. None of this specifically points to Fi or INFP in general. INFPs can be geniuses sure, but characters who are written as geniuses will normally fall into a more obvious category fictionally speaking. As for SM being a snappy jerk when he was young, I only recall the snappiness that happens due to his body being able to react faster than his brain can process what he’s actually done, leaving room for his dorky jokes and bad puns. And I would still assert that inventions and figuring out the weaknesses of an opponent is extremely logical, especially in comparison the INFP’s ‘principled’ outlook on life. And as for personal experiences with male INFPs, they don’t carry the same sense of dorkiness with them that is a trademark of Parker’s. I’ve met a few male INFPs, though, and many of them were quite goofy. I think that’s more the Ne for both INTP and INFP than anything. But Fi is just as good at finding the hard spot among villains to make them feel like crap about themselves, and Petey does that in good measure too. In fact, now that I think about it, I would almost describe early Peter as far more sarcastic than goofy, and I’ve seen many INFPs like that as well. I don’t know, you could be right, but for every issue that Pete is only focused on the science there’s another one where he’s trying to help others in his personal life too. He’s definitely INXP, though, that’s for certain. He’s definitely not an extravert, as you said, because Ne is certainly not his primary function. Unlike Batman, where his mask is him, Spider-Man is only Pete’s mask. hey! this was really interesting to read. thank you for it! also, could you please tell me which comic that picture is from? Which one? I think you might mean the Joe Mad art, which is from ‘Avenging Spider-Man #9 (I think it’s #9). I agree that Spider-man is an INTP, but for a different reason: why Peter Parker is Spider-man in the first place. Originally, Peter starts out looking to make money from his abilities in the ring. But when the owner stiffs him, he lets the guy get robbed by a thief. Turnabout is fair play, he figures. But then the same thief kills his Uncle Ben, the man who was a father figure to him. Uncle Ben has already said “with great power, comes great responsibility.” But to Peter, this has a darker meaning: Peter Parker HAS to catch the bad guys, because when he doesn’t, one of them will end up killing someone he loves. There’s a similar situation in The Amazing Spider-Man 2, when he shows compassion for Harry and doesn’t want to stop him. But then Harry turns into the Green Goblin and kills Gwen Stacey, his girlfriend. Again, when Spider-Man doesn’t step up, then along the way, the people he loves get hurt. 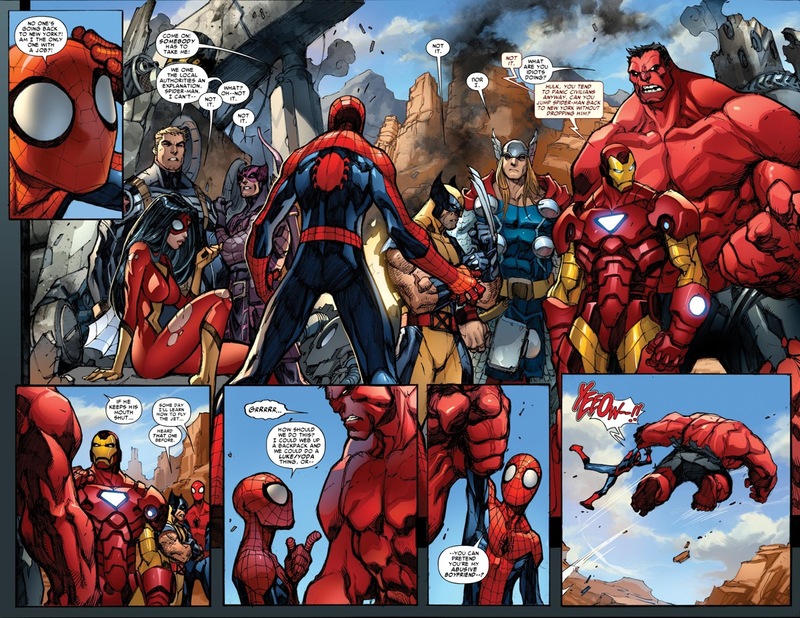 Spidey is a reluctant hero. He really would rather be a straight-A student, working for people like Dr Curt Connors doing cutting-edge science. But he can’t, because when he does, it’s only a matter of time before Doc Octopus kidnaps Aunt May, or something else happens to someone he cares about. INFPs are full of morals: they care about the environment, about animal cruelty, are against animal experimentation, are frequently vegetarians, and much more. If Spidey was an INFP, he’d be fighting the bad guys because they’re scum who want to pollute the Earth. INTPs are different, because it’s their inferior Fe that drives their morality. They feel forced to be moral, not because they inherently feel, but because their logic shows them that it’s only a matter of time until something so bad will happen that they cannot live with, that they don’t have a choice. That’s how Peter reacts, like it’s only a matter of time until another of his loved ones get hurt by the bad guys, and the only way to stop that is for him to step in.